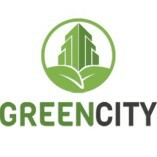 Green City International is European most trusted steel waste management equipment supplier. We are committed to deliver highest quality steel waste bins, skips, litter bins, outdoor cleaning trolleys, transfer stations and rollover bins. Our... professional service and high quality products are recognized all over the Europe and Middle East. For urgent deliveries we have respectful amount of bins and skips on stock. We respect our buyers no matter how big or small they are and deliver our products on time. Our dedicated team is here for them.